About C. Allan Gilbert (Illustrator) : C. Allan Gilbert is a published illustrator. Published credits of C. Allan Gilbert include Life and Gabriella (Dodo Press) and Gentle Julia (Illustrated Edition) (Dodo Press). About Worth Brehm (Illustrator) : Worth Brehm is a published illustrator. 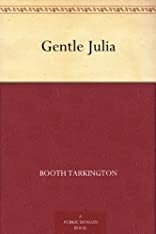 Published credits of Worth Brehm include Gentle Julia (Illustrated Edition) (Dodo Press), Penrod and Sam (Library of Indiana Classics).